Memorizing all things around you can be painful. A report for your chief, medicals you grandma must take in time, friends’ birthdays, attending driving courses, an appointment you simply cannot afford to miss. All of these sometimes simply goes out of our heads, no matter how important those things are. And here is where Eventer.mobi proves to be extremely useful. 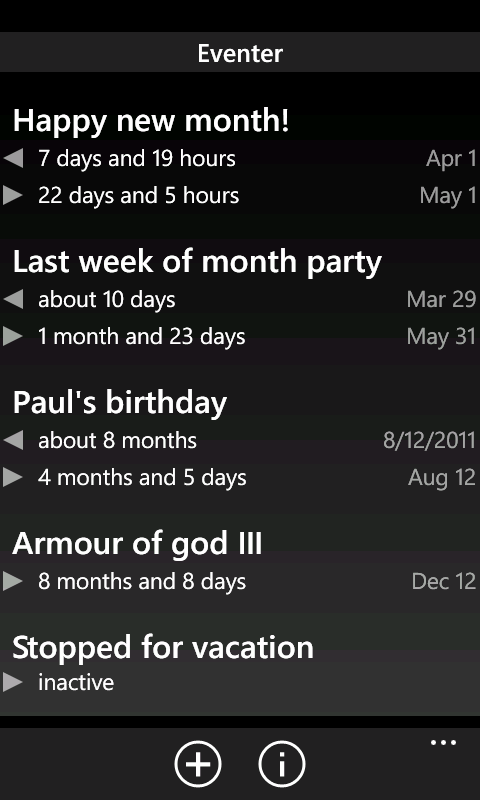 Eventer.mobi, a small utility for Windows Phone, turns your device to the extra memory to keep all those important dates for you. The obvious interface makes it easy to setup any scheduled affair, be that an hourly, daily, monthly or weekly event. Of course you aren’t limited with primitive periodic reminders; instead, you can specify virtually any date and time you want, like every Wednesday at the last week of a month. Needless to say, you can have multiple scheduled events. 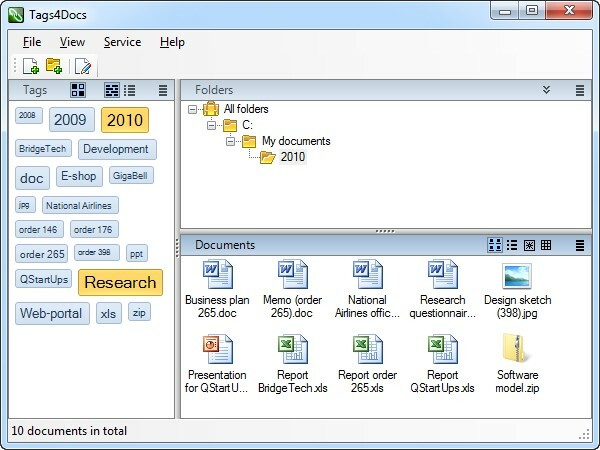 Tags4Docs allows creating a number of tags and associates them with documents on your computer, whether they are texts, spread-sheets or video presentations. The convenient thing about tags is that you don’t have to memorize the name of a document or where it is located, so whenever you need to find it you can do this virtually in a minute. Tags4Docs assigns tags for documents in natural language, basing on the contents of a document. Such approach ensures you never forget the associated tags. Indeed, if you know what the document is about, you know the tags as well. You can assign tags not only for documents, but also for folders. This saves tons of time when you have a lot of similar documents in the same folder. 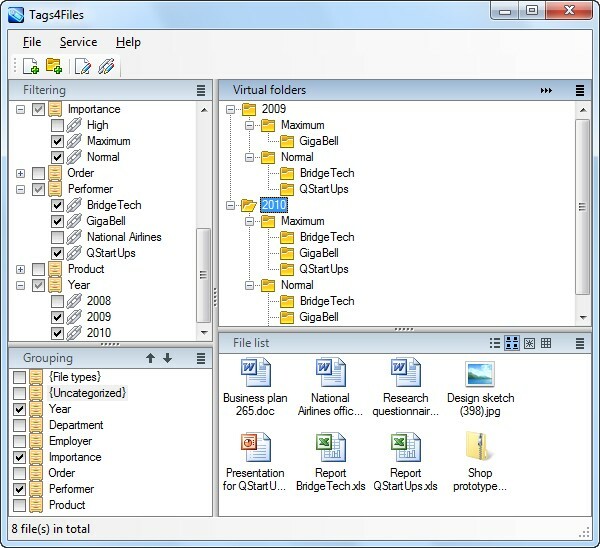 Tags4Files is a new word in file management software. 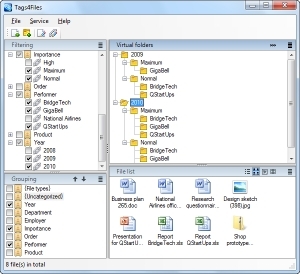 It simply creates a set of tags associated with every file or folder on your computer. These tags are simple, easy to memorize labels. Tags can be merged into categories then. So whenever you want to locate some file on your disk, you don’t even have to remember its name – you simply choose the associated labels and Tags4Files instantly filters unnecessary items and presents to your eyes all documents associated with those tags. Tags are much more convenient that simple file names, as you can include almost any info about the document into tags and then Tags4Files will deliver that file in a second. This is significantly faster than trying to remember where the file was, and what its name was. This tool automatically solves algebraic equations written in any form. 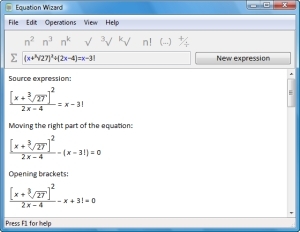 Unlike many other software of that kind, it not only finds the roots of the equation, but also produces a full step-by-step solution that includes simplifying, opening brackets, intermediate calculations and so on. All in all, the solution provided by Equation Wizard looks absolutely human-made. Thus, this tool is a must have for any student or pupil. You don’t have to find the solution yourself and write it down to the paper. Simply type the equation you need to solve in a free form into Equation Wizard and it generates the complete solution in few seconds. You will only need to print it then. Global Clipboard is a powerful clipboard manager. It manages almost any kind of data you can put into the clipboard: text fragments, images, sound samples, and even files. 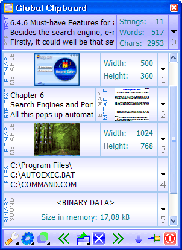 Aside from functions common to all clipboard managers, such as: storing all fragments and pasting any of them at any time, Global Clipboard features dozens of unique capabilities. For every type of content it offers a set of convenient hotkeys and actions, including text and image transformations, converting one type of clipboard content to another and so on. For instance, you can copy several files from Windows Explorer into the clipboard and get the list of file names via Global Clipboard’s “Save as text” function, or mirror any given image you’ve copied into the clipboard. In overall, Global Clipboard is a real time-saver for any kind of home or office usage. MovieSlider takes any video file from your collection and creates a slideshow preview based on frames of this movie. Such standalone preview is a simple executable that you can run on any Windows-based computer. It doesn’t require the source video on that computer; it doesn’t require any other additional files too. You simply run the preview and see a slideshow of the movie. This is handy if you want to share you thoughts on some video, or to tell your friend about a new movie - and illustrate your story, of course. The tool is also useful if you own a movie reviews blog and want to give your readers some way to evaluate the films you’re talking about. Simply run this free tool, select the video, adjust the number of frames in a preview and click the button. A minute later your preview is ready to be shared.